Community forestry planning – The first step in building a healthy and beautiful urban forest while saving money on street tree maintenance. 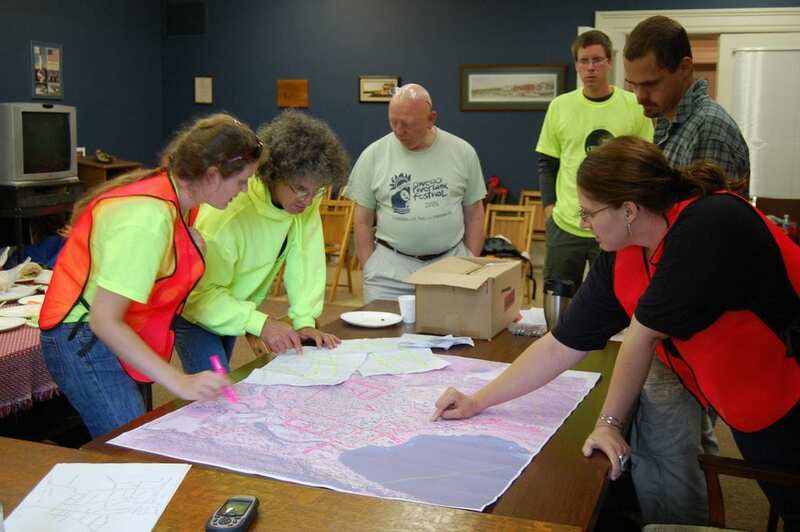 Conducting a street tree inventory – a community tree inventory is essential to developing an urban forestry management plan. Resources – For working with plants and with people. 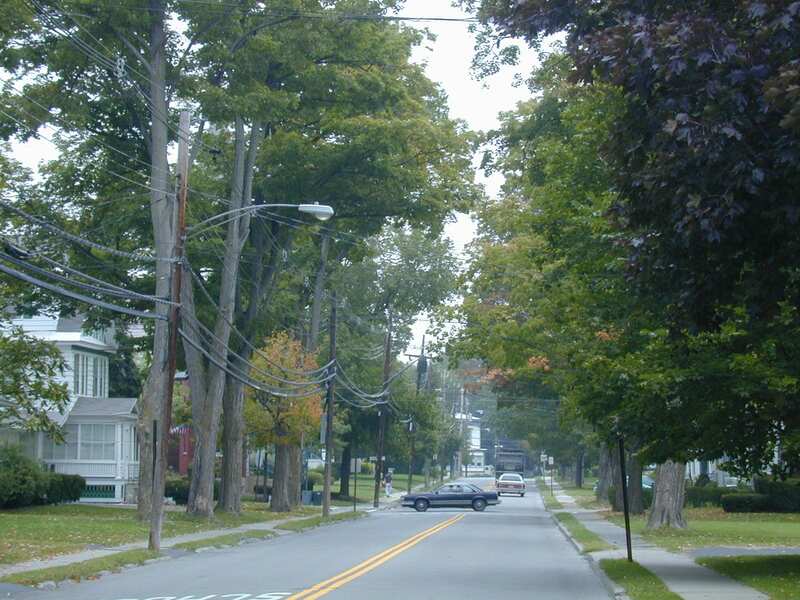 Streetscape showing trees in city right-of-way– wires, lightpoles, sidewalks, driveways, traffic, houses– some of the challenges in managing the urban forest. Urban arborists planning routes for a street tree inventory.